... and welcome everyone to this last Choose Wellness Newsletter for 2010. 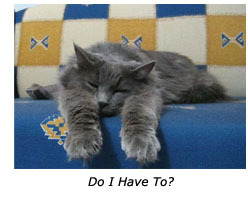 Christmas is upon us and I feel rather like the cat in this photo - finding it hard to get motivated! For this reason, and because everyone is too busy to bother reading a newsletter, I will make this very short. 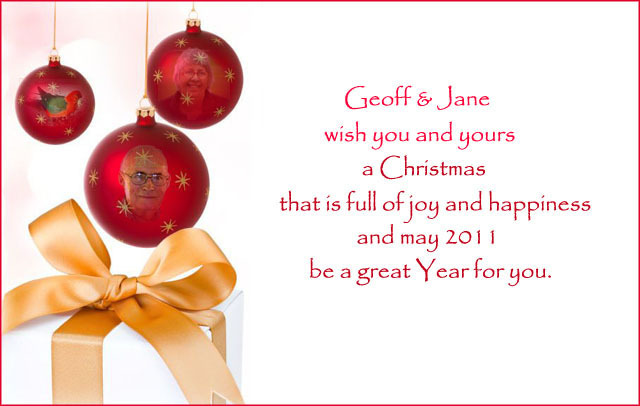 I just want to be sure to wish you all a happy Christmastime and the very best for the coming year ... 2011. Can't believe it's eleven years since we all thought the world was going to end as we rolled into 2000! We all look forward to Christmas - we celebrate and enjoy the festivities, delight in spoiling our children, and Grandchildren with an abundance of Christmas presents, exchange greeting cards, put up decorations and attend Christmas parties. But, over the years, the religious meaning of Christmas has been declining and it is now more about holidays and shopping, and getting together with family and friends. .. and isn't it great to have that time together and share some peace and goodwill! May that long continue. It looks like being a traditional 'white Christmas' in many parts of the Northern hemisphere this year while we in Australia will be 'hot and probably wet'. You can read more about our Australian Christmas traditions by clicking this link. December is one of our hottest months and is our school holiday time, so many Aussies flock to the beaches to enjoy the sand and surf, and cold meats and salads have largely taken over from the traditional hot turkey & plum pudding dinners. Rain is forecast for Christmas Day so we will be having a very quiet celebration with just those of us in our immediate household which includes our two youngest grandchildren, Andy and Shiina, who, thankfully, have reached an age when they are not 'up before the dawn' to open presents. On Boxing Day, daughter Ngaio and her family will pay us a visit as they make their way home again after their usual surfing holiday at Angourie, on the New South Wales coast and Katelyn with Balin & Imogen will head south to spend some time with us. It's been a very busy and exciting time lately for Katelyn as she has just opened her new Studio/Gallery/Shop right in the heart of Townsville on the newly refurbished Mall. These 'Health Tips' are worth considering as you eat your way through Christmas. Monounsaturated fats are healthy fats. They raise your HDL "good" cholesterol and lower your LDL "bad" cholesterol. Sources of monounsaturated fats are almonds, avocados, cashews, macadamia nuts, olive oil, peanut oil, peanuts, pecans, pistachios and sesame oil. Trans fat is commonly found in processed foods like chips, crackers, baked goods, margarine, shortening, candy and fried foods. Here's a recipe for some great little 'macadamia balls' - very easy, very tasty and they'd be a great addition to the Christmas table. You need a packet of Philly Cheese, small packet of macadamias (chopped), some white chocbits and some ginger (optional). Just process all together, shape into balls, roll in desiccated coconut & refrigerate. Yummy. Thanks Ella for this recipe which I have made often. Your body is the only thing you are guaranteed to have for life. How are you treating your body and lifelong companion? . 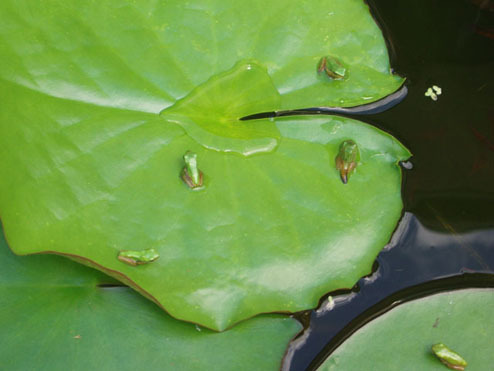 I'll leave you with this photo of some of our baby Frogs. They are so cute. Click here to see more of our Pond and our beautiful water lilies. Contact us if you are nearby and - would like some lily plants (or fish) - they are multiplying well!